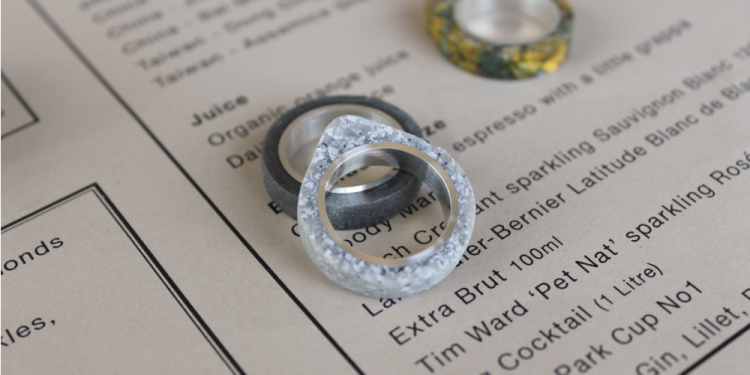 Create Something Special this Valentine’s: The Architact Collective Do Custom Rings! Are you an architect or builder? Are you moving home? Are you building a home with your life partner? Are you a supplier or manufacturer? Are you on holiday? Why not collect some brick or concrete from your construction site, family home, office or holiday destination and allow us to transform your material into a truly unique ring. A ring that you can carry forever as a very personal and constant reminder of home, work or leisure. Below are some images of a custom ring we created for a very special and talented Architect. She came to Australia in 2011 to work on a very prominent project in Sydney. 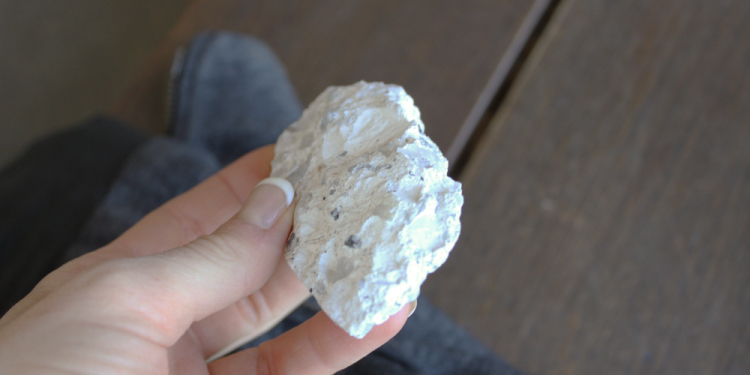 This week she returns to London but before heading home she collected some white precast concrete from the construction site. 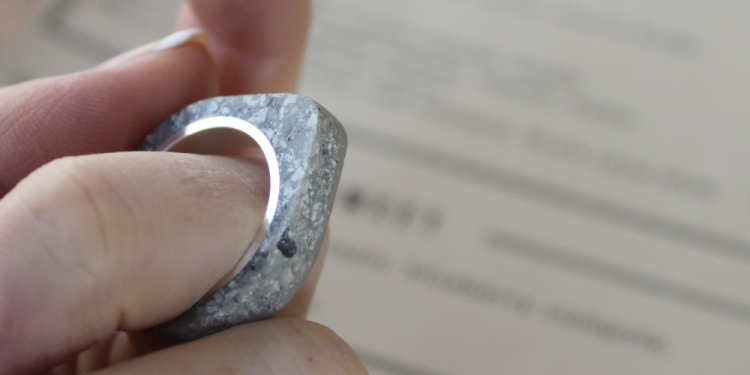 She posted it to us, we crushed it into an aggregate and casted a very special concrete ring. Below are some images of her beautiful ring, I hope she enjoyed her time here in Sydney, because she certainly left he mark in the heart of Sydney! It only takes a small piece of concrete. Here is a shot of the concrete which was posted to our office by the client. The client requested that we capture the light colour and aggregate which was in her concrete pertained.